Information regarding multimedia presentations by award winning Canadian watercolour landscape artist, muscian and traveler David McEown. 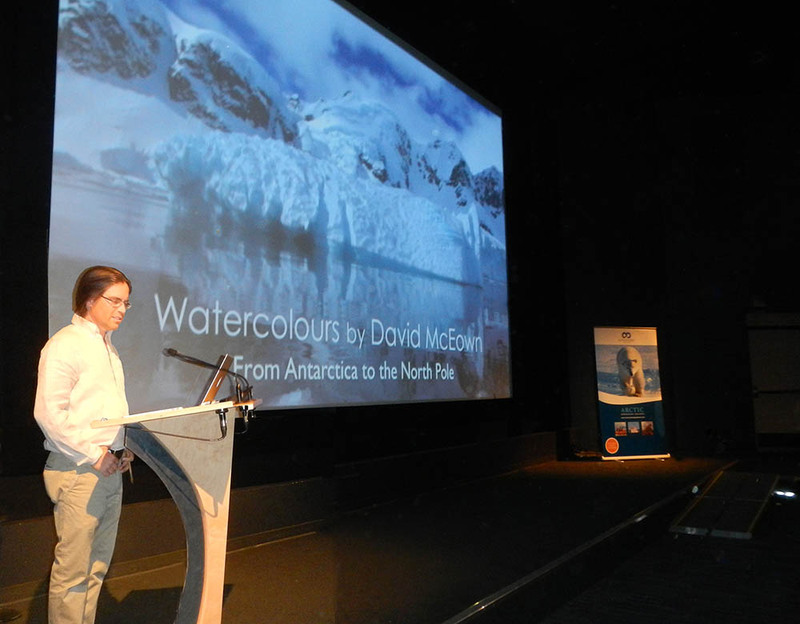 Don Valley Art Club, "From the North Pole to Antarctica"
Renowned watercolour artist David McEown narrates an entertaining digital show merging painting, video and photography inspired from travels in the Great Bear Rainforest, Africa, Antarctica and the North Pole. Part of the international exhibition 'A Symphony in Watercolour' presented by the International Watercolour Society of Canada and the Canadian Society of Painters in Water Colour. 2019 Presentations and workshops to be announced soon! David is currently booking shows for 2018, featuring recent painting expeditions from the ends of the earth. 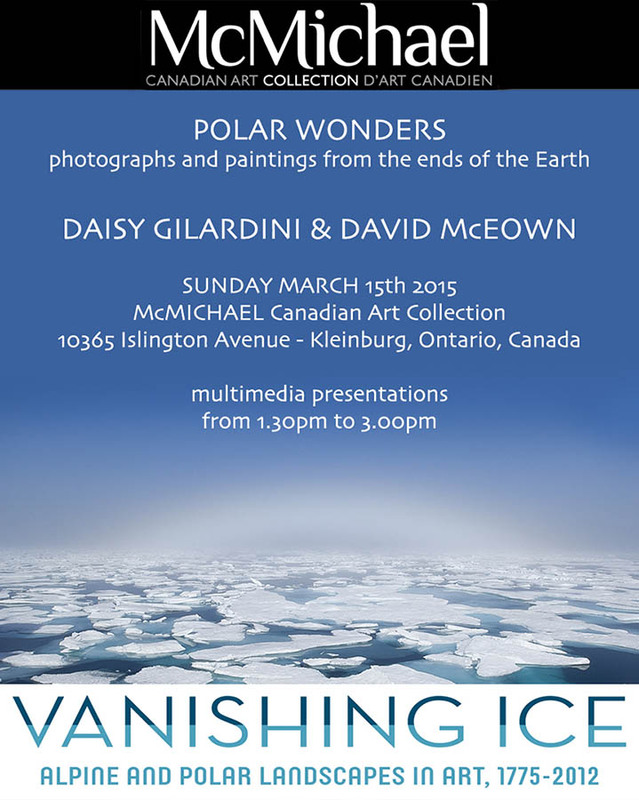 Also for those groups interested in photography David often works in collaboration with renowned wildlife photographer Daisy Gilardini. If your group, society or school is interested in a presentation, please contact us for information on available dates and fees. An artist's journey circumnavigating the Arctic Ocean and Antarctica by ski, sailboat and icebreaker. David narrates an entertaining digital show that merges paintings, video, and photography from the ends of the earth. Stories of chance encounters with polar bears and emperor penguins are weaved together with reflections on the inner journey and the creative process of painting. Recent Presentation at the historic Art and Letters Club in Toronto. "Let me say, again, what an excellent presentation you gave last evening! So professional, well presented, and entertaining. And to a very attentative audience."